Home>Blog>Performance Testing>How to use JMeter for Performance and Load Testing? 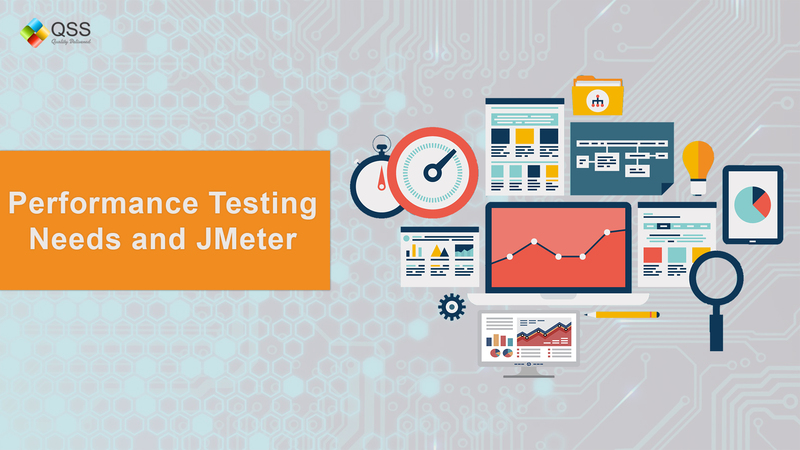 How to use JMeter for Performance and Load Testing? The targeted audience of this article, who wants to know the necessity of doing performance testing for any mobile and web application so that when user database gets increased many factor such as response time, throughput and hits per second remain stable to ensure robustness of a application. Functional and structuring of an application is not only main concern in STLC where team needs to focus, there must be separated allocated task where resource usage and scalability of AUT must be performed. When a mobile app is structured or a web application is developed then we must know what will be our targeted audience whether app is for e-commerce or health or a education domain. For example, Apps, that are build for e-commerce platform needs to be very fast in all the formats related to searching for a product or categorizing the product. First and the foremost thing is end to end transaction time and accuracy. If all the above mentioned parameter are not mapped properly then it will end up delivering an application having poor performance prompting end-user opt for different options available on the internet. If an application is deployed with poor performance then it will be a great loss to reputation in terms of business as well as for sales goal. People don’t prefer to user an app which always lags and whose waiting time is more while navigating through pages. Application that are integrated in bomb detonators, launching for a spacecraft, ventilator or any other machine used in saving life of a person needs to be tested thoroughly to ensure their scalability, when used for a longer period of time. There will always be a need to conduct performance testing on environment (staging) whose specification is similar to deployment server so that application under test can perform properly after deployment. 1. Throughput: it is the number of transactions per second, system can handle. As their will be lot of users performing transaction on the same time so to handle their request and responding them back, needs to be done in quick way. 2. Response time: It is the time user waits for response, after sending a request from the application. This time need to be lesser so that user should get the response on time. 3. Hits per second: it is the number of hits to server in each second of performance testing. 4. Error processing time: it is time which system takes to rollback to stable state. This needs to be lesser so that robustness of a system is well maintained. 5. Transaction graph: It is the time taken by AUT (Application under test) to perform end to end transaction with success ratio. 1. Load testing: It is the ability of application under test to perform well under certain user load. In this type of testing, number of users are increased to check how the system will behave in this period of time. 2. Stress testing: It is the ability of application under test to perform well under extreme user load. In this type of testing, number of users are increased to extreme point to check the breakpoint of application under test. 3. Volume testing: In this large amount of data is inserted in database and system behaviour in such conditions is mapped. 5. Endurance testing: it is just like load testing but motive of this testing include for how long application under test can behave normally, in such type of user load. 6. Scalability testing: it ensures that application under test can perform well, when there is a increase/decrease in user load, data volume. 1. WebLOAD: it is used for doing performance testing on most complex system and can be integrated with Jenkin, Selenium. It is developed by RadView Software. 3. Loadrunner: Its give you complete graphical representation of user event with their time from end to end transaction so that it can be identify on earlier stage without deploying to live. It is compatible with cloud and mobile testing. It offer 3 edition: Community, virtual user days and Enterprise editions and can be integrated with Jenkin, Selenium, Blazemeter and UFT. It is 100% pure Java tool which is used for load testing and measure performance of application under test. It is used for both static and dynamic applications. It is not a browser and it works at protocol level, although it looks like a browser but doesn’t supports all features of browser. Latest version of JMeter is 5.0 whose minimum requirement is Java 8 or 9, it works on Windows, Linux and Mac OS platforms. Step 3: JMeter can be launch by three modes GUI, Server and Command line. 1. Test Plan: It consists of all the steps which execute the script. In this, script runs from top to bottom, while basic Test Plan consist of Thread group, Sampler and Listener. 2. Thread Group: It is a bunch of users running on the server which may be concurrently or in same time frame hitting the server to check behaviour of AUT. Main parameters of Thread Group are: Number of user, Ramp up period and Loop count to execute the script for how many times. 3. Samplers: This is used to identify type of request that has been sent to server and also if predefined parameters. Request can be in the form of HTTPs, FTPs, SMTP, SOAP. Most commonly used is HTTPs. 4. Listeners: This is used to capture the whole response from server and present them in the form of table or tree or Graph. This is the most important part of JMeter as we analyzed the behaviour of AUT along with graph and checking the performance. 5. Workbench: This is non-testing component which can be later added to Test plan for execution. This is basically for experiments but it won&#39;t be saved in your JMeter script. 6. Assertion: When the server responds back then it needs to be validated that we are getting correct response about what response assertion is required. Types of assertion: Response, duration, HTTP, XML and Size assertions. 7. Config Element: When user hits the server then there are multiple requests, which are send to server. These request can be further divided by means of config elements which runs before the actual request, for eg: To read values from CSV file, we need to add CSV Data Set Config in config element. 8. Logic Controller: There are multiple set of requests which are send to server to control the flow for what logic controller is used. Say, if we want to run registration script first instead of Login script. 9. Timer: When there are hundreds of users then to reduce load on server, we need to provide time delay between each request. For example, there can be a delay of 10 sec between HTTPs request and SMTP request. Jmeter Configuration for Script Recording. 2. After template creation, click on HTTP Request Defaults and Add server name or IP. 3. Configuring Firefox browser to use JMeter proxy: Open firefox and type about:preferences#advanced, in Network proxy click on settings, choose radio button as Manual proxy configuration, in HTTP Proxy add localhost and Port number as 8888. 4. To record script add Test Plan>>Add>>Non Test Element>>HTTP(S) Test Script Recorder in JMeter window and now click on Start button in HTTP(S) Test Script Recorder and record the action in browser on which you want to perform load testing. 5. Perform events on Mozilla, its script will auto captured on JMeter. Save this script and based on load add users in your ThreadGroup. 6. Once script is recorded use parameterization and correlation to handle dynamic data and dynamic data at run time. 7. Add Listeners in scripts as per your requirement to capture execution result. Go to Thread Group and set number of threads for which you want to run load. (1 Thread = 1 Virtual User). Now click on play icon in header to start load execution. 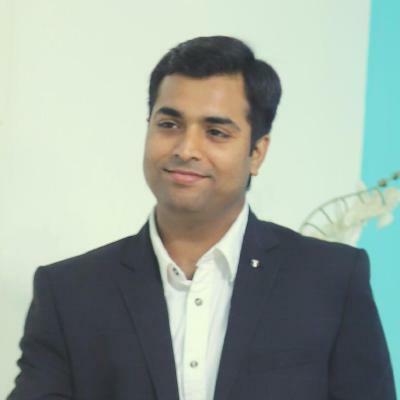 Prakhar Saxena is a Sr. QA Engineer currently working with QSS Technosoft Pvt Ltd. He has completed his Master’s degree in Information Technology.